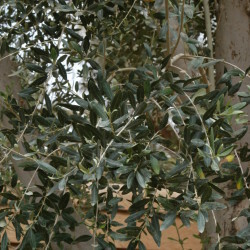 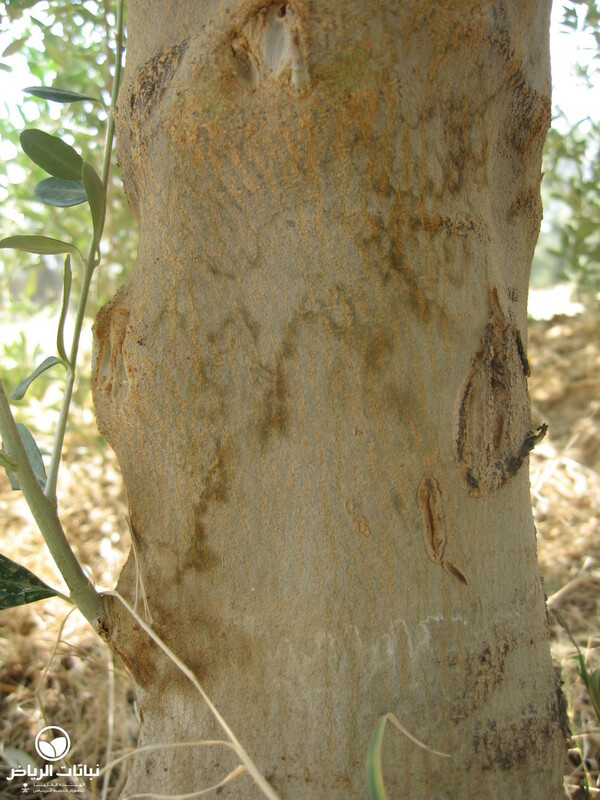 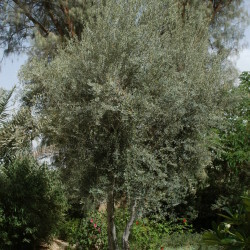 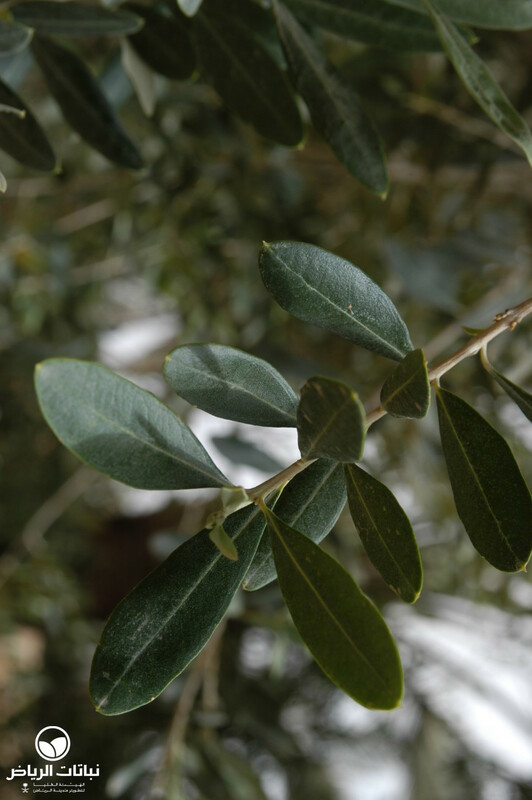 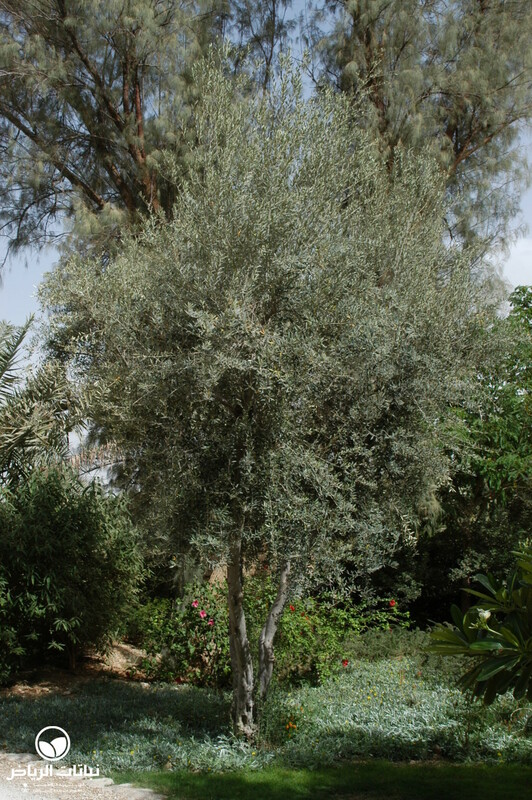 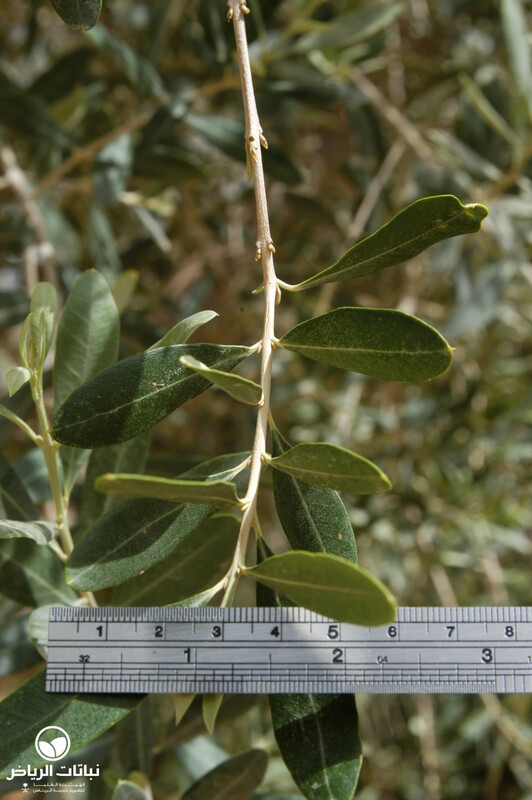 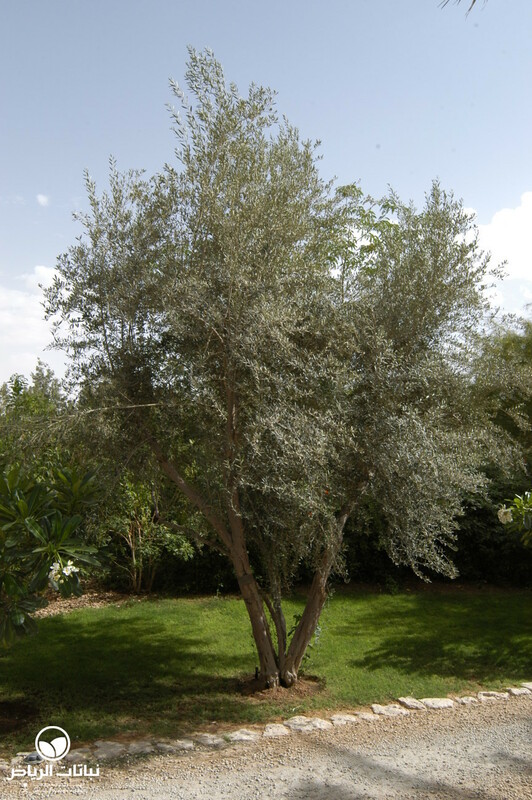 Olea europea is known in English as the Olive tree, and in Arabic zaytoun. 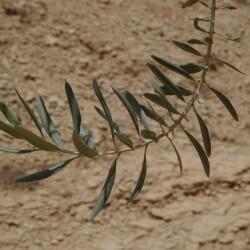 Its distribution extends from the Mediterranean to southeast Africa and southwest Asia. 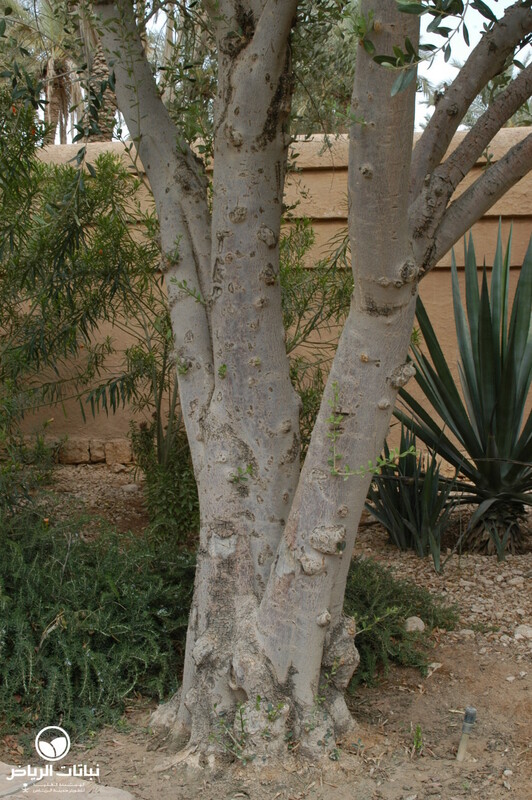 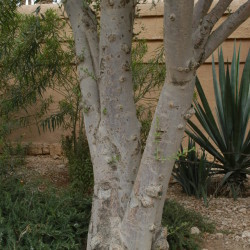 The tree can grow to between 6 and 9 metres high with a spread of 6 to 8 metres. 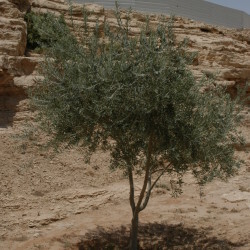 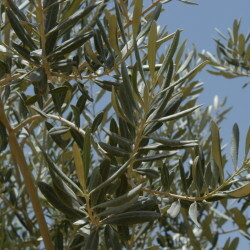 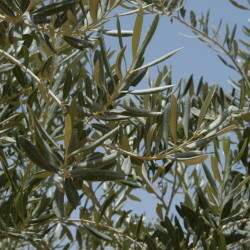 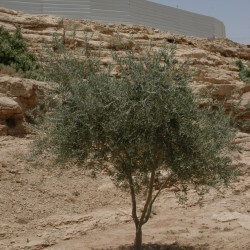 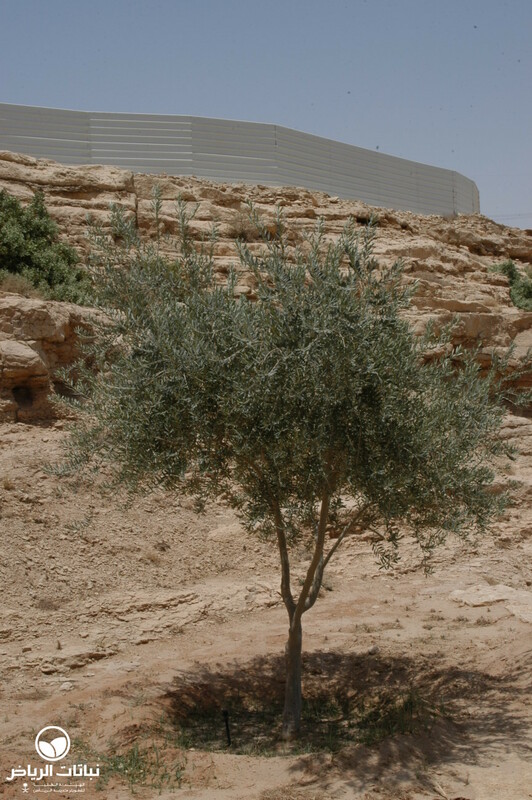 Often, the Olive tree features a very picturesque growth with a dense crown. 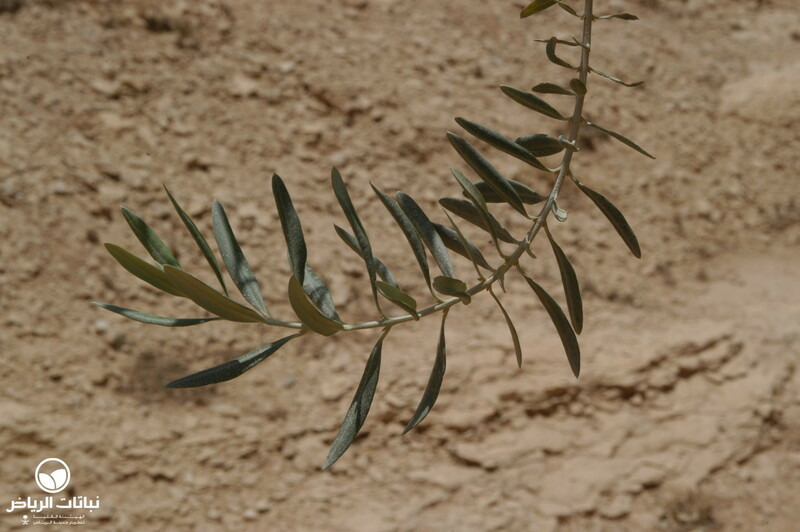 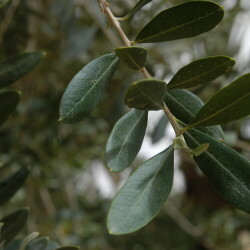 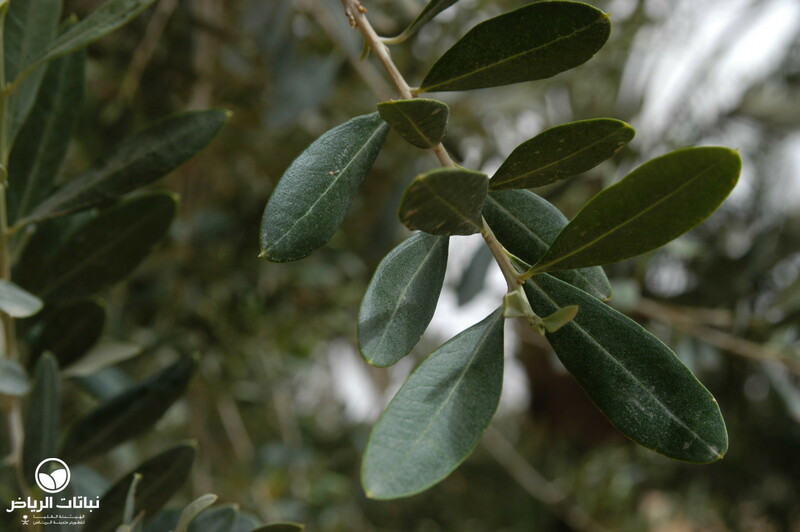 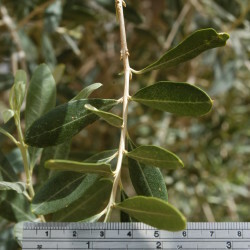 The leaves are entire and lanceolate, with the typical olive green on the top and silvery-green underneath. 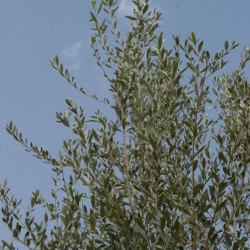 The flowers are unimpressive, but the fruits are famous and popular in all regions where olive trees grow. 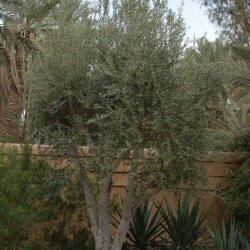 Maintenance is minimal; regular pruning will densify the crown. 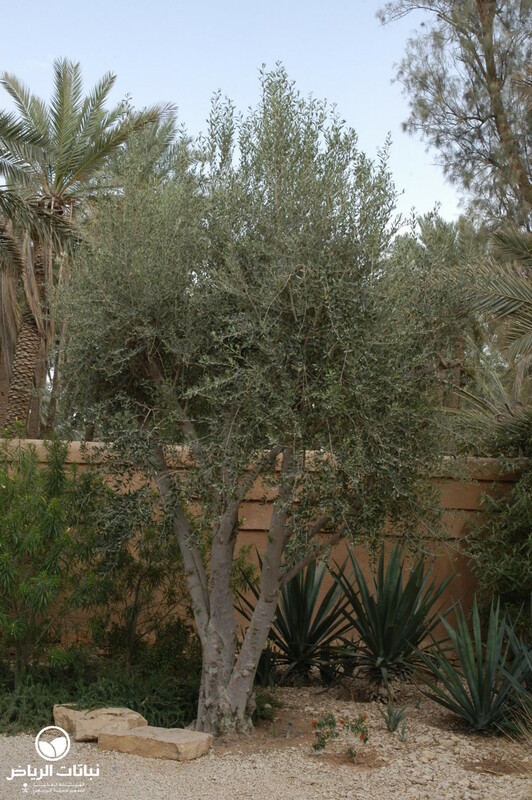 Olives do not like stagnant water, but otherwise have no special soil requirements. 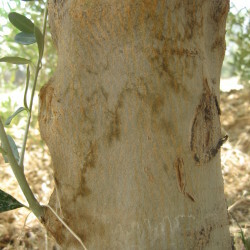 Frost-tolerant to –10°C, the trees are prone to attack by scale insects and crown gall; verticillium wilt and black scale can also become problems. 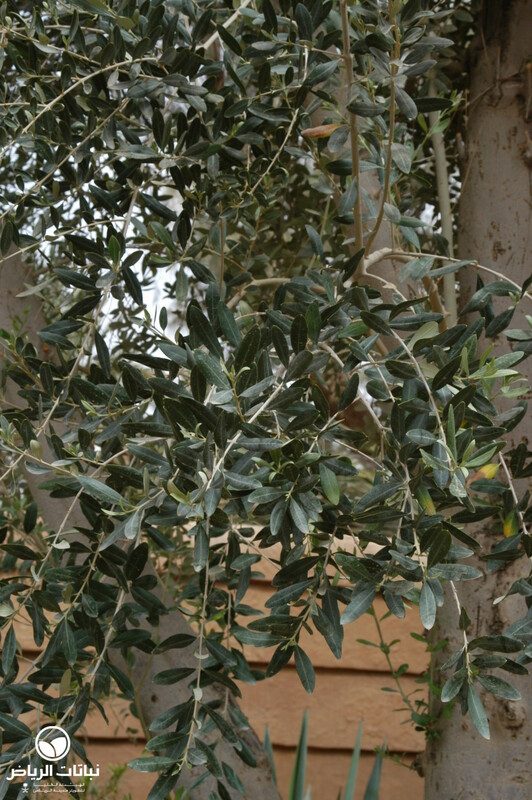 It is a shelter plant, and can be used in open public spaces, park planting and urban areas. 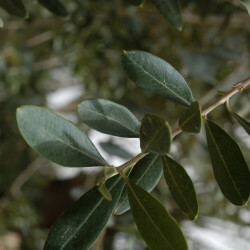 Olives can also be grown in small managed roof gardens or containers. 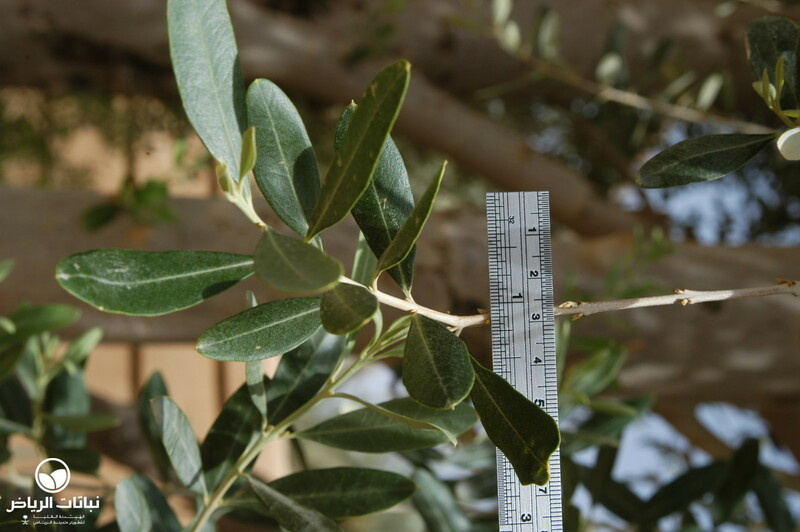 For landscape design, however, it should be recognised that the Olive is a fruit tree, i.e. 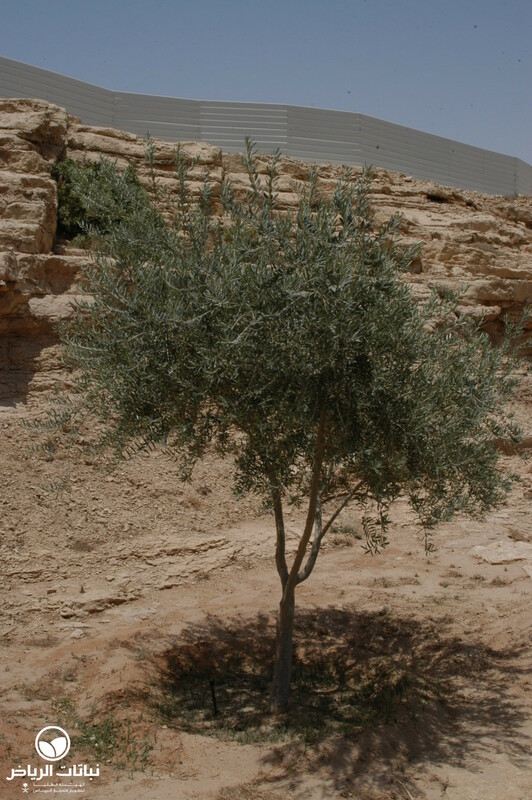 its use is inadvisable next to pedestrian areas. 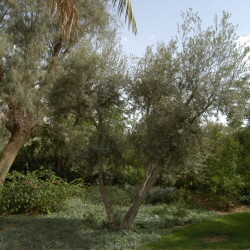 Olives make appealing trees as specimens, grouped planting or linear planting. 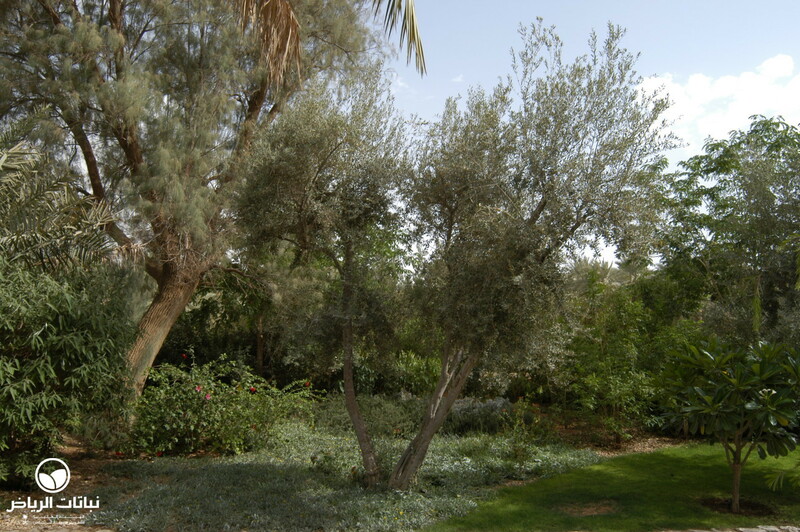 They will lend a natural Mediterranean garden flair to steppe gardens. 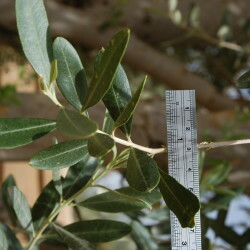 Propagation is by cuttings and grafting. 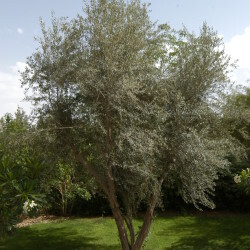 To ensure optimal development of the tree, it is necessary to provide a minimum of air humidity. 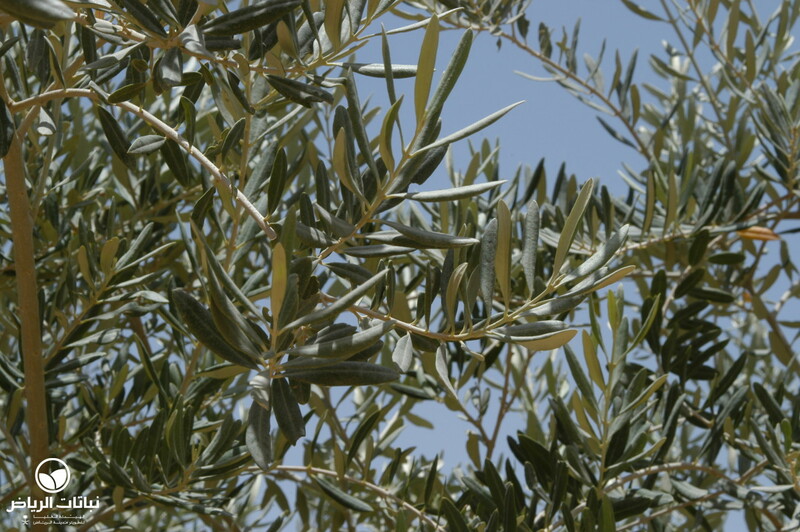 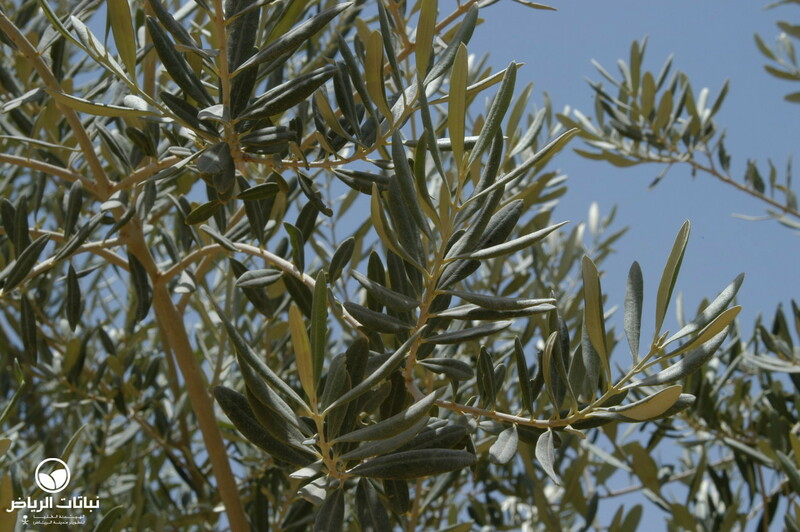 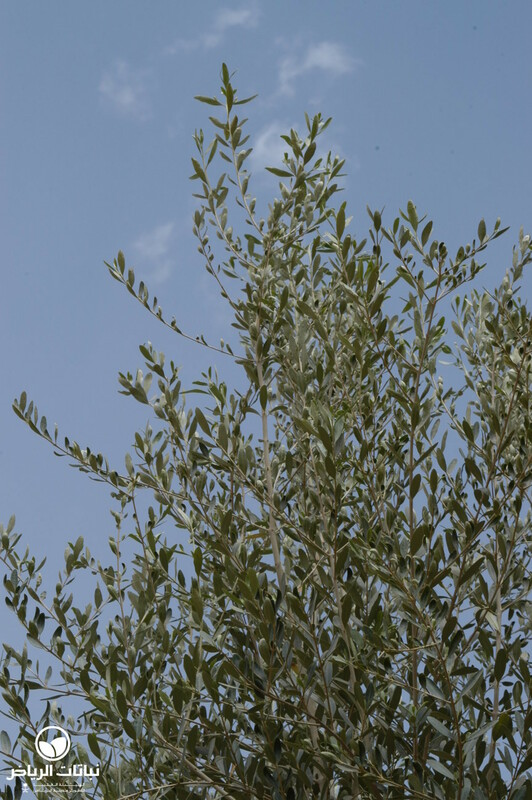 Olive tree plantations have been successful in Arriyadh, and can now be seen quite often.